A new contactless card donation point at the Argo Lounge in St Peter’s Arcade, off Bridge Street, allowing people to make an instant £3 donation using their bank cards. 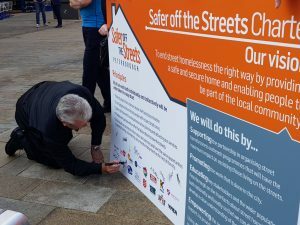 A Safer off the Streets website – www.saferoffthestreets.co.uk – an information hub which allows people to find what support is available and to make online donations quickly and easily. Cash donation boxes will also be placed at Peterborough Town Hall and the Visitor Information Centre, among other spots across the city. Dedicated Twitter, Facebook and Instagram, @sospboro social media channels. A new Safer off the Streets drop in hub located at The Garden House in Wheel Yard, will be open six days a week and offer support such as GP and health advice, housing guidance, volunteering activities and CV/job search. Outreach officers will work with individuals offering personalised plans and a clear offer to support them off the streets, made easier with a co-ordinated schedule for night shelters, food donations, cooked meals, volunteers and transportation, as well as in-shelter support services. A Rehabilitation package will be set up to help rough sleepers, aiming to take them from the first point of contact into night shelters, training, and ultimately housing and/or employment. Peterborough Winter Night Shelter – This Winter season the night shelter will be running from 26 November until 18 March. Ten churches are working together to host our homeless guests and warm meals and beds, with loads of love and support to help people get off the streets will be offered. 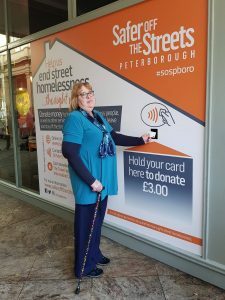 Donations received will primarily go towards funding the day to day running costs of the drop in hub which will provide advice on support services and health and wellbeing with any additional funds being used for personalised budgets for rough sleepers to encourage them to leave the streets for good. If you know of someone sleeping rough please notify the council using the rough sleeper referral form. 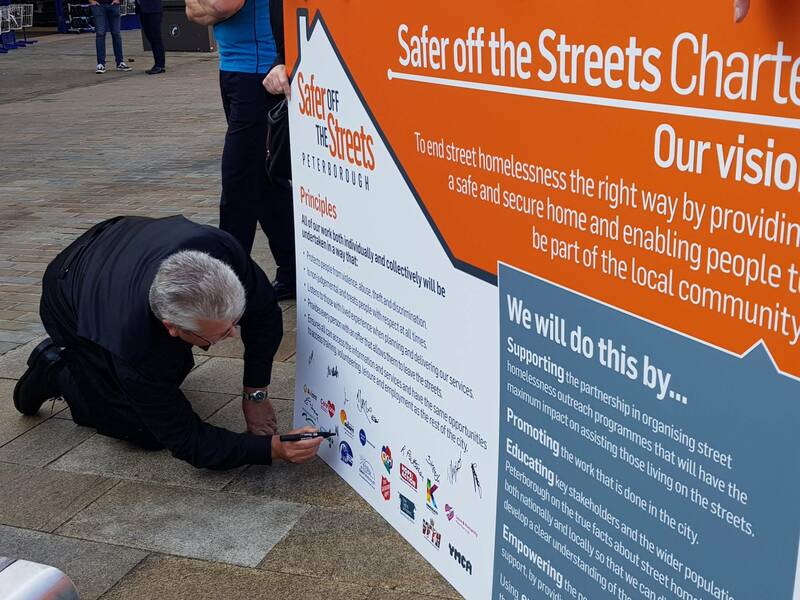 Alternatively, email: enquiries@saferoffthestreets.co.uk.